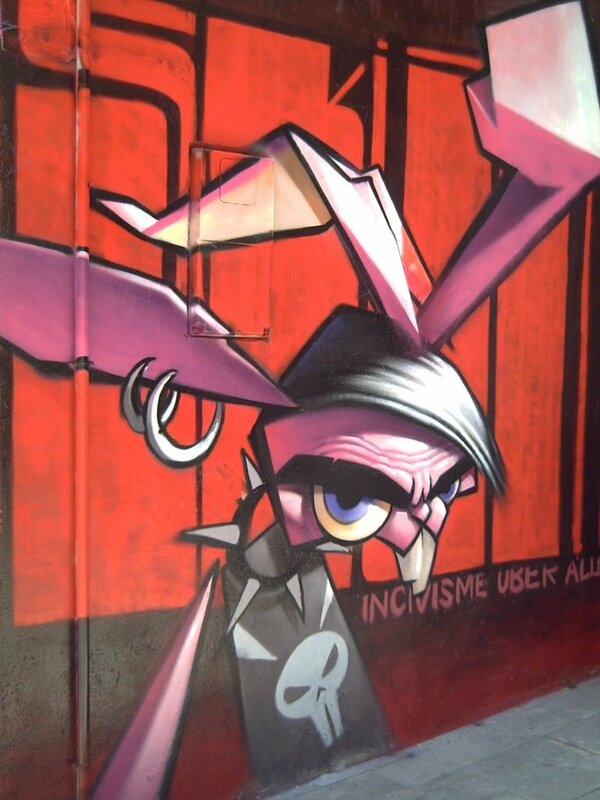 Guess what, this mad rabbit wearing a frown, pierced to the bone and rebelling against anything that smells familiar with the system, the city council, the mayor, the state or himself, no wonder the sign said "incivisme über alles", was on the opposite wall to the Eddie Murphy-like graffiti. I don´t get it...Rappers and Skins...I am getting too old for this, get a job! Maybe you want to see the full view, or not. ps.rappers are fine, but skins :p! Funny! Why in German and not Spanish? ?